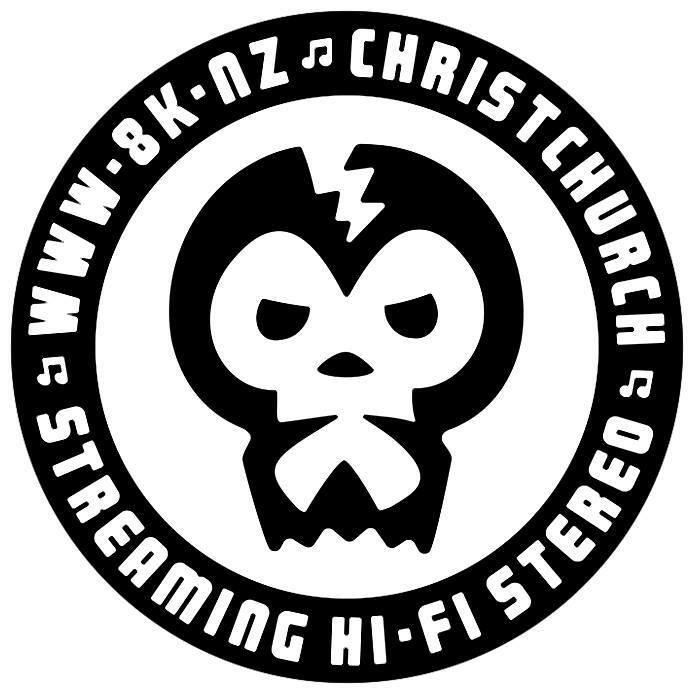 The Joint is a weekly radio show broadcasting every Saturday midday (NZ time) on 8K.NZ in Christchurch, New Zealand. The Joint formerly broadcast on RDU 98.5FM from July 2001 till March 2016. Hosts The Herb Whisperer and Fraserhead and occasional guest stars play a super dope selection of cosmic disco, French electro, tragic indie, hip hop, house, dub(step), nu-Krautrock and all sorts of things in between. The Joint started lighting up proper in July 2001 when Fraserhead and The Herb Whisperer both realised they were spending far too much money on records and downloading far too much music to be able to listen to it all. So they decided it was time to share the gems they were discovering with as many people as possible. Why is the show called The Joint? The name “The Joint” itself was inspired by the track “Shake Your Rump” from Beastie Boys’ classic 1989 album Paul’s Boutique, which itself sampled Funky 4+1‘s 1980 classic “That’s The Joint” and the name seemed perfect for a radio show. In a way it epitomises post-Modernist irony (eg: us referencing a sample rather than the actual source). The Herb Whisperer’s broadcasting career began in the mid-80’s on Radio Falmer, the campus station at the University of Sussex in the UK. It was scientifically proven that not one person listened to the show. Ever. Things improved slightly in 1989 with a move to Sydney, Australia and a weekly spot hosting a 2am – 5am show on 2SER FM. Again listeners were limited in number, boosted only at 4.45am when the audience for the most popular show on the station (“The Country Music Show”) started to tune in and demand Slim Dusty tunes. Moving across the Tasman to New Zealand was, initially, less fruitful – only one appearance on Q92FM’s Desert Island Discs show in Queenstown in 1994. Even this ended badly, with the station’s sales manager threatening to evict him from the studio for daring to play a Jesus & Mary Chain track. Given such a history, being part of The Joint is something of a novelty for the Herb Whisperer. There are actually listeners and there is positive feedback (sometimes). The Herb Whisperer worries about his alcohol intake, the amount of oil in his curries, and the use of Spandau Ballet songs for crowd chants at FCUM games. Fraserhead is one of those rare people – someone who readily and happily admits to preferring style over substance. Raised in the 1970s on a musical diet of The Beatles, Beach Boys, Elton John, and random muzak cassettes his parents played in their Volkswagen Kombi, in the 1980s his tastes slowly shifted to Duran Duran, Prince, New Order, Run DMC, Pet Shop Boys, and then on to Bailter Space, Stone Roses, Happy Mondays, Public Enemy, and PWEI (without becoming a goth or wigger). In 1990 he started doing shows on RDU, and despite being kicked off air a few times in the early days has done shows ever since. Highlights from the early days at RDU include those memorable parties at The Worcester Bar, a programme director pronouncing that “dance music doesn’t work on the radio because the songs are too long”, and occasional listeners calling up to complain that “rap music isn’t isn’t relevant to New Zealand so stop playing it”. These days you will find Fraserhead with a cognac in hand whilst gardening, listening to bleepy beats, and wondering if Arsenal will ever win the Champions League. Hi guys, still listening to your show, love your work…every session you make me descover a good sound. last one is black seeds – cool me down. Hope you are well and i’m sending you lots of greetings from paris. Fraserhead rocks – such a laid back cool dude – people can learn so much from his positivity and attitude to life – rock on man. Guys really enjoying my Saturday afternoons thanks to your wonderful tunes. This is when I voluntarily take out my 4 and 2 year old in the car and go for a long drive with you in the background! My wife just thinks i am a great dad and little does she know…. The kids seem to enjoy it too but this may be the promise of a chipmunks visit or the dreaded big mcd’s. Would really appreciate something from the avalanches, no new albums as yet I know but some interesting newish downloads on their website. No worries Barry. Nice to have you tuned in. Hopefully the kids don’t get too freaked out by some of the more colourful tunes we play.